~Mamamie's Thots~ Singapore Parenting and Lifestyle Blog: Happy 8th Birthday, Junior YS! Happy 8th Birthday, Junior YS! 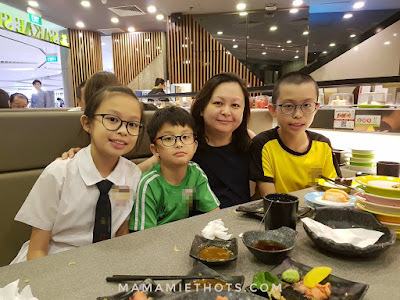 Our littlest finally turned 8 years old and we decided to hold a simple birthday celebration since his birthday was on a weekday and coincidentally hb was out of town for 2 weeks as well. We went to have his favourite Japanese cuisine and bought a very cute birthday cake from Chateraise. 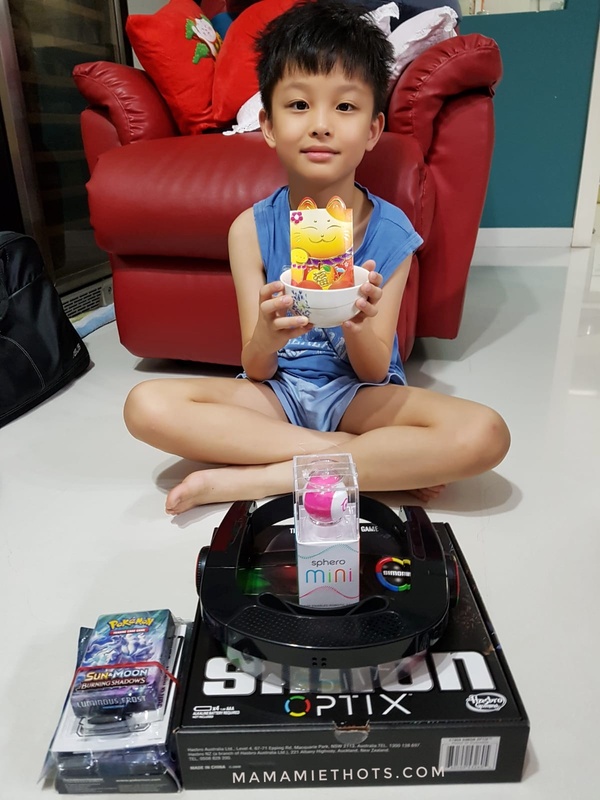 He received his birthday presents in advance from all of us but was bugging me to let him open his presents almost everyday. I felt that it will be more meaningful he got to open those presents on his birthday. 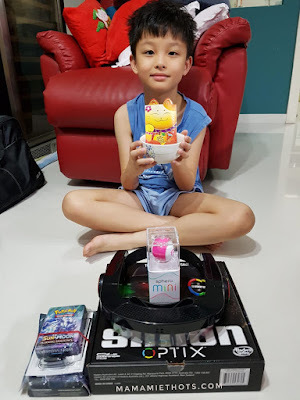 Therefore, he woke up very early on the actual day and opened all his presents one by one. The birthday boy received all his favourite toys on his birthday! 8 years ago, you came into our lives after I survived one month of ordeal in the hospital before I gave birth to you. 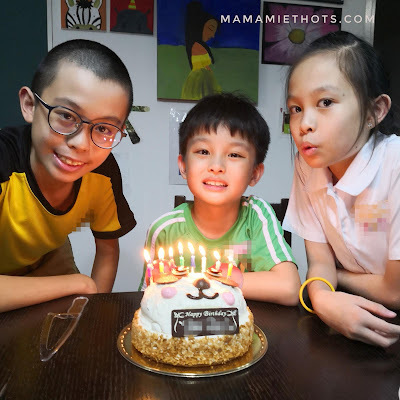 We hope you continue to be that cheeky and fun-loving little boy in the house. Happy 8th Birthday, my dear son!